Please join me as I spend the next 2-3 weeks questioning how it is possible that I had never heard of Ben Ferencz before watching this film. I don’t think I will ever come to a particularly satisfying conclusion, but it is mystifying considering how important and inspiring a figure he is in Holocaust history and the development of the International Criminal Court. 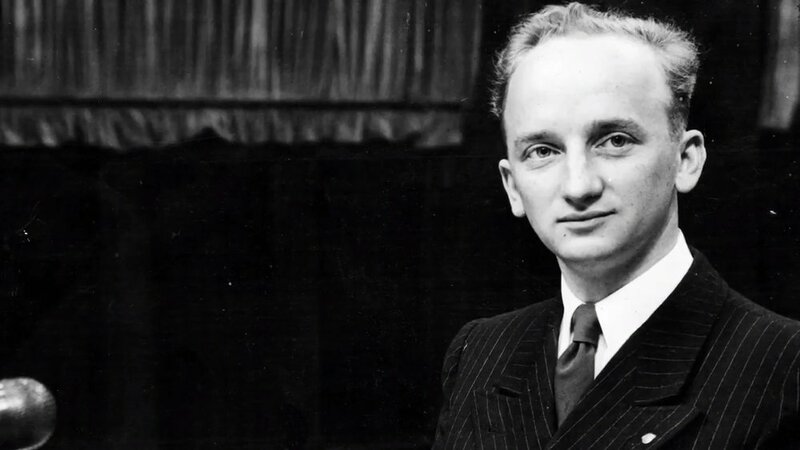 After World War II ended and the incomprehensibility of the Holocaust had to be reckoned with, Ben Ferencz was a scrawny, unassuming young man of 27 who had attended Harvard Law, was assigned by the army to gather evidence at the concentration camps, and was therefore well-placed to join the team who would begin legal proceedings against Nazi criminals that would later be known as the Nuremberg Trials. 27 years old. I don’t know what you were doing at 27 but I was getting pretty damn good at microwaving nachos for the exact right amount of time for the cheese to melt but not burn, so I would say that Ben Ferencz and I were equally as accomplished at that point in our lives. Long story short, he ends up as the youngest lead prosecutor of the Nuremberg Trials, having never argued a case in court before. Ferencz was in charge of the Einsatzgruppen trial, which prosecuted the commanders of the mobile killing squads that mercilessly executed over one million Jews and other enemies of the Nazi regime, bringing to justice 24 officers on mass murder charges. And if that was all he had done, he would have still lived a pretty remarkable and meaningful life. But that’s merely the beginning of his story. His experiences throughout the war convinced him that there was a dire need for some sort of international criminal court system so that crimes against humanity would not be allowed to go on without their perpetrators facing justice. So that, among other things, is what he spent his life advocating for. What makes the film is the incredible presence of Ben Ferencz himself explaining his own story, clearly still as much of a force of nature in his late 90s as he was at 27. His passion, hope, and enduring ability to believe in the role of law in upholding human rights despite the brutality of everything he’s seen in life are beyond words. Shining a light on this man and his profound contributions to the international community are utterly essential to ensuring the survival of Holocaust remembrance as well as keeping the field of human rights law in the public consciousness. We can all get frustrated at the way that incredibly important progress seems to take one step forward, two steps back. Ferencz’s optimism even in a political climate that seems in danger of seeing our leaders repeat mistakes from the first half of the 20th century forces us to see the good in humanity, and never stop working to build a more humane world, as Ferencz himself dedicated his life. In summation, this film should go on an international tour and be screened around the world in an educational capacity — the subject matter is that essential.